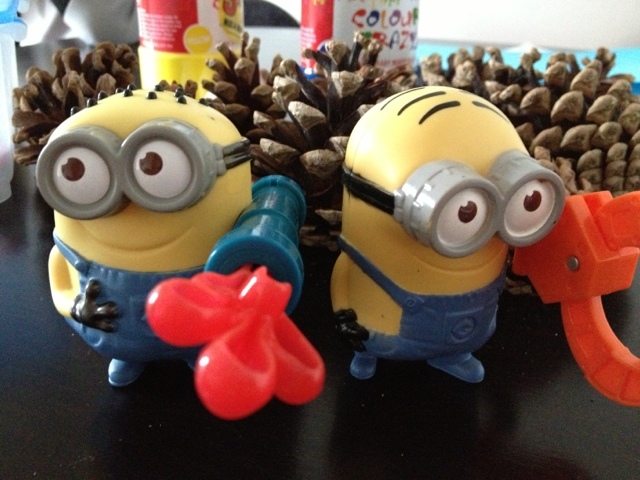 Gifts from the Pirates: "It's like my heart is a tooth, and it's got a cavity that can only be filled with children." "It's like my heart is a tooth, and it's got a cavity that can only be filled with children." I bet the people if Gotham feel very protected knowing that the dark knight is watching everything they do. 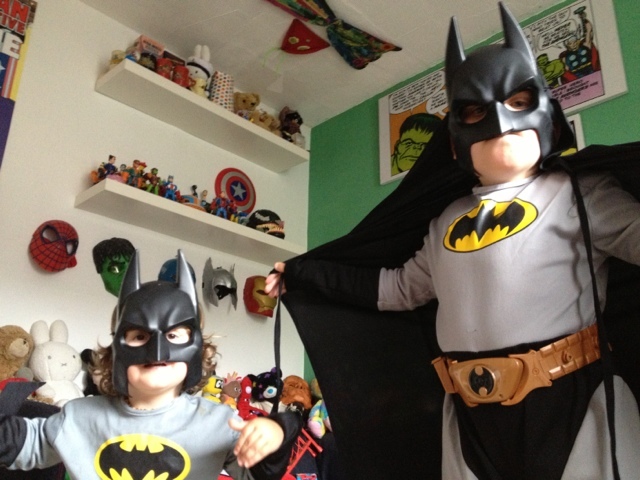 Here in Shropshire we can do one better, our batmen come in two's. I for one feel extremely relaxed knowing they are around even if they are more like the chuckle brothers in costume. Yesterday apart from Opeie changing for a brief craft session the boys stayed in costume all day and were running about solving crimes that I had made up. 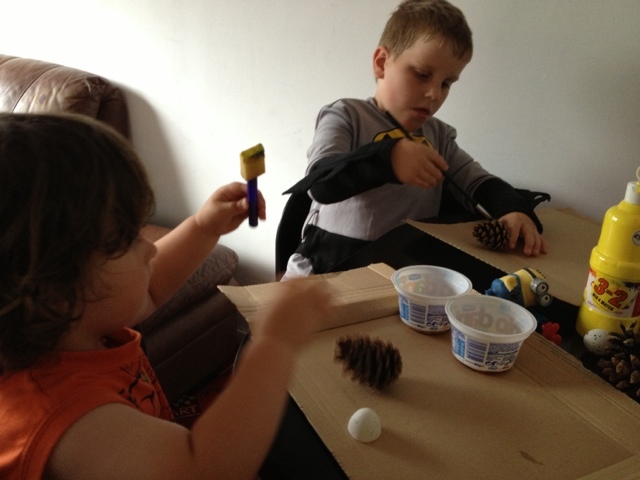 After a couple of hours they both started to get a bit tired so we sat down at the table for a bit of craft. The day before while Mrs M was at the gym we went for a walk through the park near by looking for pine cones, me and Opeie had found some last week and bless Seth he wanted to be a part of it. 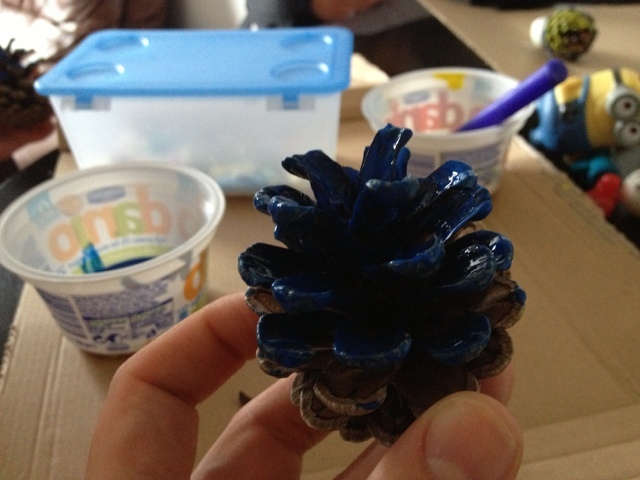 I filled my pockets and as we ventured back to the car and Mrs M, we talked about how we were going to paint the pine cones to look like minions (the boys love despicable me). 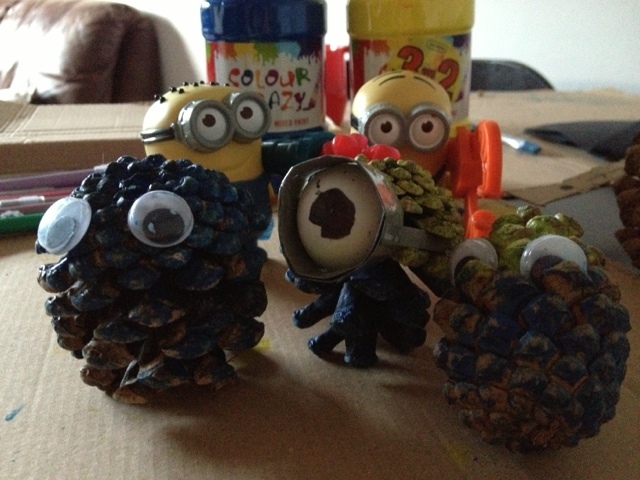 I set the paint up along with googly eyes, card and extras and got to it. 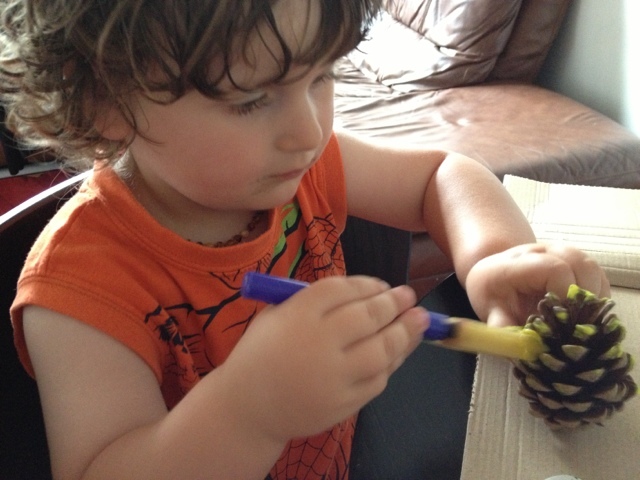 Firstly if you are going to have a go at this wash the pine cones and leave them to dry. We didn't and as soon as we started poking it with a paint brush all manner of angry bugs came running out. 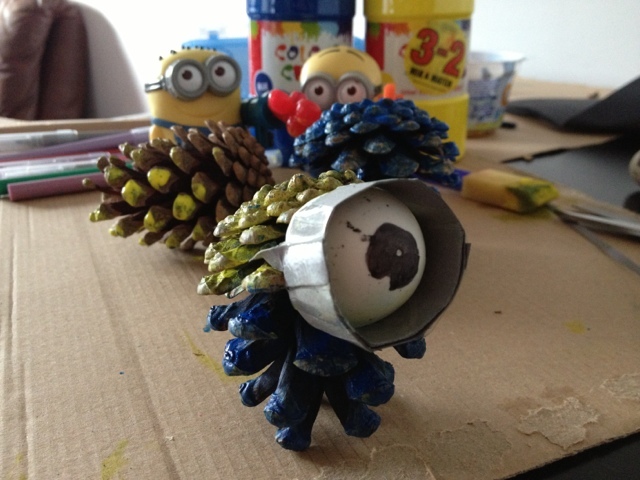 The minion idea turned out to be a great idea as we had left the lids off our paint in the garden during a previous craft activity but had huge bottles of the primary colours. Okay so it wasn't one of our greatest craft ideas but it kept the boys entertained while the weather was looking pretty bleak outside. 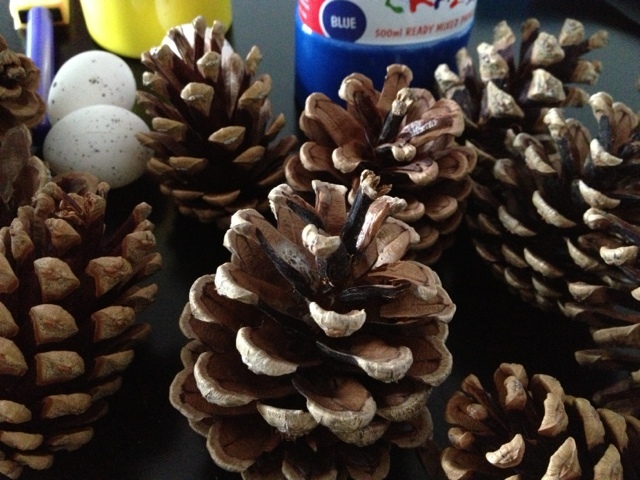 We've still got plenty of pine cones left so we will have to think of something else interesting to do with them. The afternoon flew by and before we knew it it was time to pick the boss of the house up from work so the dynamic duo jumped back in to costume, climbed into the Batmobile and the adventure continued!! !